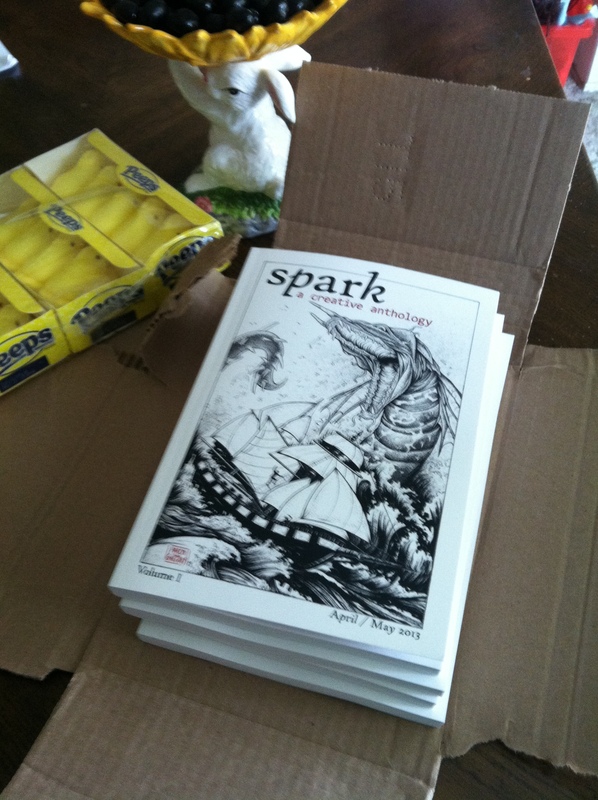 I have a short story in the new Spark anthology. I mentioned it before. My friend Brian Lewis, who was at the CalArts summer school with me, founded the journal this year, as a way to showcase CSSSA grads (and others). It officially comes out tomorrow, but you can get an e-copy or preorder right now. It’s a great way to support emerging writers and enjoy some short stories, art, and poetry while you’re at it. I got the idea for the story a few years ago. I was attending the Honolulu Writers Conference, walking back from lunch, when I saw a young man sitting against the wall of a very high-end store,on Honolulu’s version of Rodeo Drive. He was reading Steinbeck, I think, and he had a box for donations and a very intense, almost angry look on his face. He looked just like Cadillac when he was 18. For a second, I felt like I’d gone through a time warp and almost said my husband’s name. But I knew it wasn’t him. Not really. Then I thought, what if Cadillac and I hadn’t gotten married, and I saw this guy who was his spitting image from 20+ years back? So…hope that piques your interest.